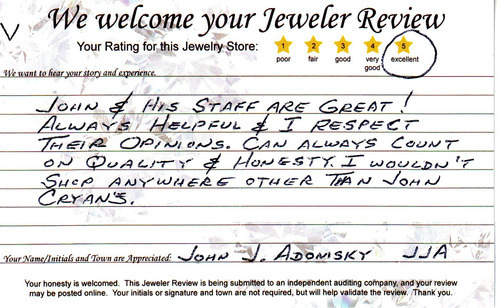 "John & his staff are great!" John & his staff are great! Always helpful & I respect their opinions. Can always count quality & honesty. I wouldn't shop anywhere other than John Cryans.